Funko has announced its second wave of Star Wars Wobblers based on the upcoming film Rogue One: A Star Wars Story! Wobblers combine the stylized appeal of contemporary vinyl figures with the traditional collectability of bobble heads! 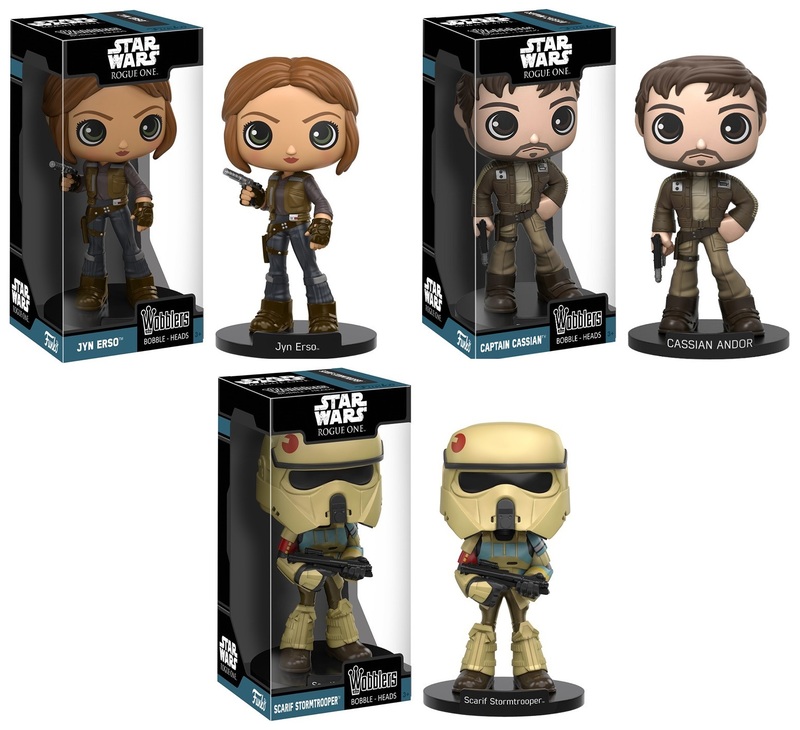 Star Wars: Rogue One Wobblers Series 1 includes Jyn Erso, Captain Cassian and a Scarif Stormtrooper. Each Star Wars: Rogue One Wobblers Bobble Head by Funko stands 6.5” tall, features a base with the character’s name on it, and comes packaged in a full color window box perfect for display. These figures can be pre-ordered now at Entertainment Earth for 9.99 each here.